Many of us grew up hearing our parents talking about changing their oil every 3,000 miles, but did you know that this isn't necessarily true? There are many motor oil myths, and you should be aware of them so that you're making the best decisions for your vehicle. While some vehicles on the road still need their oil changed every 3,000 miles, many can go much longer. Today, cars are designed to go 5,000 or 10,000 miles between oil changes. So while the 3,000-mile rule used to be standard, things have changed. Look at your owner's manual or talk to your mechanic about your vehicle's needs. Many people also think that dark oil means that it needs to be changed. Although oil is amber when it first goes in your vehicle, as it cycles through your engine, it turns darker because it's filtering out the dirt. 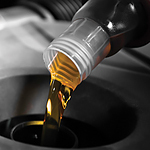 Go with the manufacturer's recommendations on oil changes instead of looking at the color of the oil.